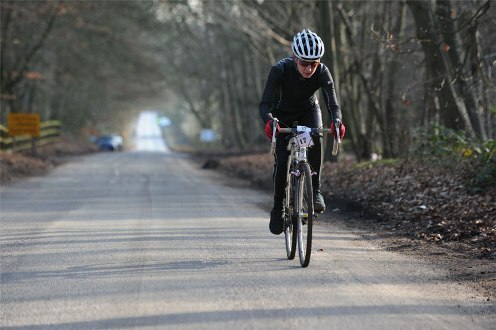 A year on from it’s inaugural event, the CX Sportive series returns for 2012 with it’s first event taking place at Woodcote in the Chilterns on Sunday January 29th. The event proved popular last year and it looks like this years Woodcote even is set to be even bigger, with places filling up fast. CX Sportive is an exciting new format for the winter season, and the Woodcote in the Chilterns, north of Reading is an ideal combination of surfaces for the event. The course mixes winding back roads with byways, tracks and a few short tougher and more technical off road links that will certainly bring the heat! CX Sportive will suit the weapon of choice from your bike stable. It’s ideal for your cross bike, but equally suitable for your XC MTB, 29er or even road winter training bike, tweaked for a little rough stuff! Your choice of steed will define your ride. Will the versatility of an MTB offer the best performance over mixed terrain? Will the pure speed of a road bike make up for time lost on the short, occasional off road dismounts? Or will the CX bike give you the best return where it counts? Your bike choice will even be included in your results listing, so you can see how different bikes stack up on the day. Full route marking, RFID rider timing, top notch catering and first class, friendly organisation and support all feature as part of the event. As the cyclocross season draws to a close, and the sportive and MTB seasons wade thorough their winter doldrums, CX Sportives give you a great mix of riding for the chilly season.